by U.S. Senator Tom Cotton: If you follow me on Twitter you may have seen the big news Anna and I announced last week: Gabriel is getting a baby brother for Christmas this year! That’s right, Anna is expecting our second child—a little boy—at the end of December! 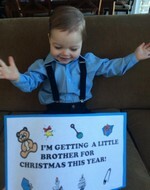 Gabriel has been such a blessing to our family and Anna and I know a second child will only make our hearts more full. Please keep us in your prayers over these next several months! Last week I introduced the Obamacare Tax Relief and Consumer Choice Act of 2016, legislation that would suspend the individual mandate when health insurance premiums rise and provide relief to people who can’t afford Obamacare deductibles. It’s clear Obamacare has failed. Premiums are skyrocketing by more than 50 percent in some states, deductibles average more than $5,000 for the cheapest plans, and networks are shrinking. Even worse, many of those same families will face a massive tax penalty because they can’t afford care. I am committed to fully repealing Obamacare. But in the meantime, this bill will protect hard-working Arkansans and all Americans from premium hikes, the mandate, and will provide alternatives through expanded access to Health Savings Accounts. I’ve also been busy conducting oversight of President Obama’s dangerous nuclear deal with Iran. Last week I joined Senator Bob Corker (R-TN) in introducing the Countering Iranian Threats Act of 2016, a bipartisan bill that implements and expands sanctions for Iran’s ballistic missile development, support for terrorism, illicit arms transfers, human rights violations, and other destabilizing actions. It also extends the Iran Sanctions Act for 10 years. The Obama administration continues to downplay Iran's malign intentions, destabilizing behavior, and attempts to undermine the nuclear deal it agreed to just last year. But my colleagues and I see very clearly the threat posed by Iran. This bill will greatly enhance pressure on the ayatollahs' sponsorship of terrorism, illicit arms purchases, and human rights violations. Over the last several months I’ve worked hand in hand with Senator Corker to ensure this bill will also close the loopholes President Obama abused to implement the Iran deal without Senate approval, guaranteeing that a future president will never again be able to go over the heads of the American people to reach a bad deal with an avowed adversary. This week the World Anti-Doping Agency confirmed previous accusations of state-sponsored doping by Russian Olympic athletes. Olympic authorities should deal swiftly and justly with Russia to preserve the integrity of the Rio Games. Only a fool would believe that Russia's massive doping scheme would occur without the direct involvement of Vladimir Putin, his intelligence services, and the head of his sports ministry. It is pathetic that Putin felt the need to cheat at the Sochi Olympics, and it is pathetic to watch him play dumb today and shift blame by suspending lower-level officials. The truth is that Putin feels he needs to steal gold medals to divert the Russian people's attention away from Russia's failing economy and his corrupt and repressive rule. In this entire sordid affair, the Russian president's basic weakness and lack of honor is on full display. Last week, I asked the Government Accountability Office (GAO) to conduct a comprehensive analysis of the Grad PLUS student loan program, as well as the various income-based repayment plans offered by the Federal Government. Student loan programs are an important resource that help provide Arkansas’s and America’s students with access to education. But we must ensure these programs are not being taken advantage of or putting unnecessary strain on our federal budget. Specifically, I requested the GAO to determine the budget impacts of the program, rates of participation, different ways schools may be abusing the program for financial benefit, whether advertised program terms are an accurate assessment of monthly payments, and different ways the program may have affected borrower behavior. I look forward to working with the GAO to gain further insight into ways to improve the student loan program. Click here to read more. 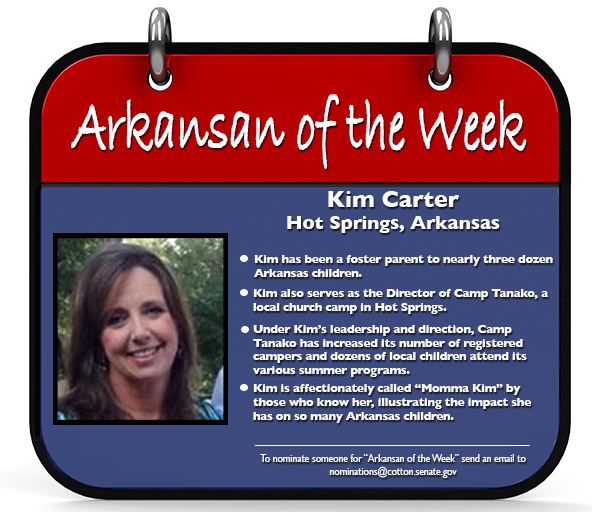 I recently recognized Kim Carter from Hot Springs as the “Arkansan of the Week” for ensuring Arkansas children have the love and support they deserve. 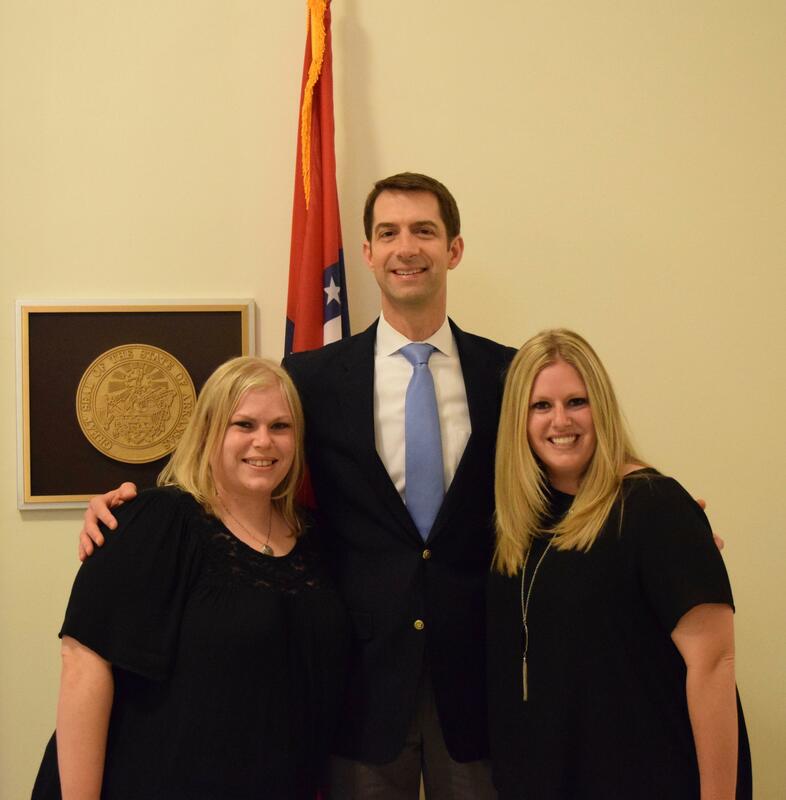 Kim's dedication to Arkansas's children is inspiring, and her compassionate spirit is a living example of the close knit and caring communities that we have across our great state. 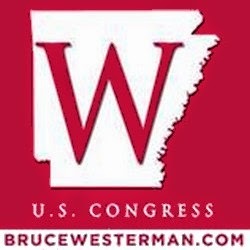 If you know someone who has made an impact on their local community or Arkansas as a whole. Nominate them by sending an email to nominations@cotton.senate.gov with the following: name of nominee, detailed description of why they should be recognized as “Arkansan of the Week”, contact information, and photos if available. 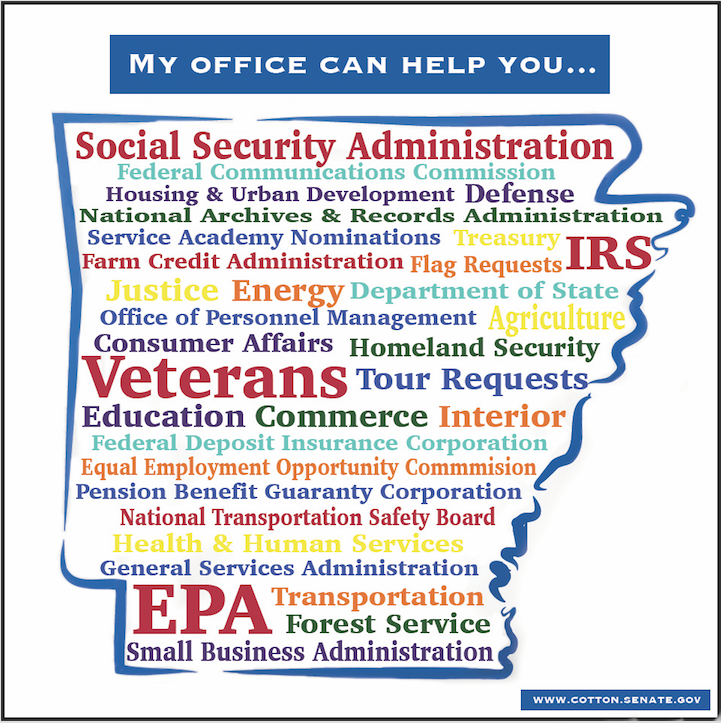 It’s been a busy summer in Arkansas filled with important events and countless community activities. I’m always honored when my staff and I have the opportunity to join Arkansans for some of these events. Whether it’s touring the Trike Theatre in Bentonville (and seeing a short performance from their camp attendees!) attending the Dardanelle Chamber Luncheon, or the Corps of Engineers Memphis district Change of Command Ceremony in Little Rock, we’ve certainly been busy! If there’s an opportunity in your community for my or one of my staff members to attend an important event or meeting please contact my office and we will do our best to be there! Tags: U.S Senator, Tom Cotton, news, Cotton Family Growing, constituent services To share or post to your site, click on "Post Link". This site is an Outreach of the ARRA News Service.